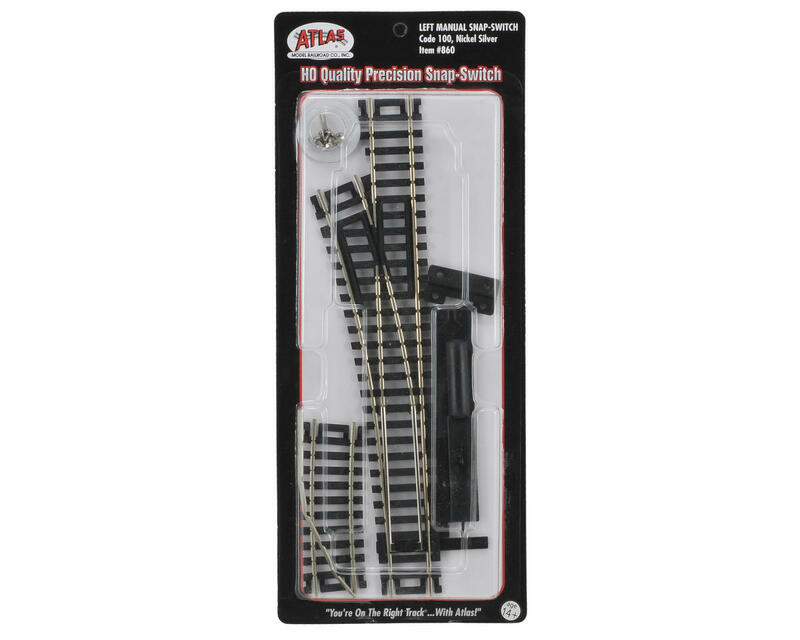 This is an Atlas Model Railroad HO-Gauge Code 100 Snap-Track Manual Left-Hand Switch. This switch has a manual control switch machine attached. Comes with a 1/3 18" radius section, making the curved leg equal to an 18" radius section. 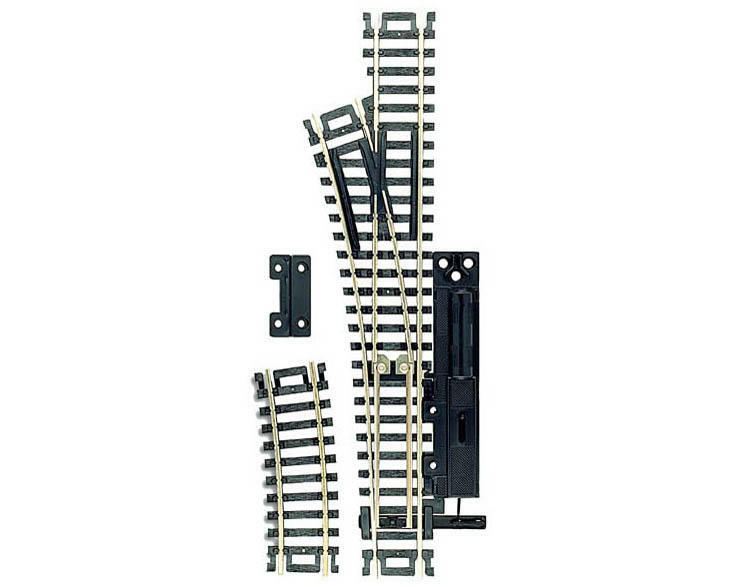 To add a passing track and siding, simply replace a 9" straight section. When replacing an 18' radius curved section with an Atlas Snap-Switch, add a 1 1/2" straight section to the opposite side.